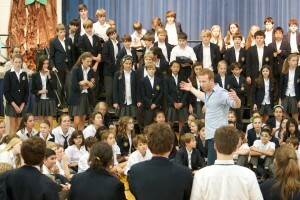 Passion in Practice began in 2010. 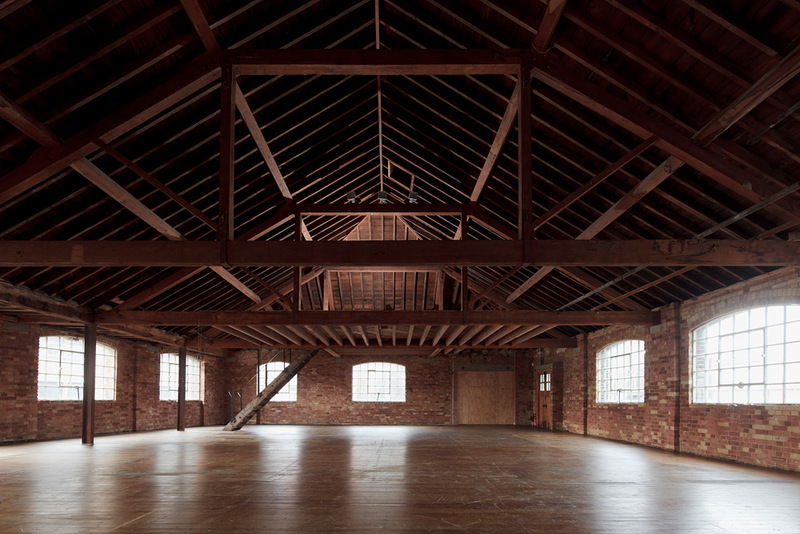 Ben Crystal invited the director Daniel Winder and the actors Diana Kashlan, Laura Wickham, Natalie Thomas, David Hywel Baynes, Jamie Harding, Jaskiranjit Deol, Will Sutton, & Warren Rusher to a workshop at the Three Mills Studio, London. In 2013 the explorations ramped up, under the direction of Ben Crystal, the company management of Warren Rusher, regular producing assistance from the actors Aslam Husain, Alex Boxall, Katrina Allen, Natalie Thomas, Will Sutton, & Marie Fortune, text insight from Emma Pallant, movement direction from Jennifer Jackson, co-direction from Rob Gander, Nathan Markiewicz, & Alasdair Hunter, and the production management of Halina Stapen-Webb. 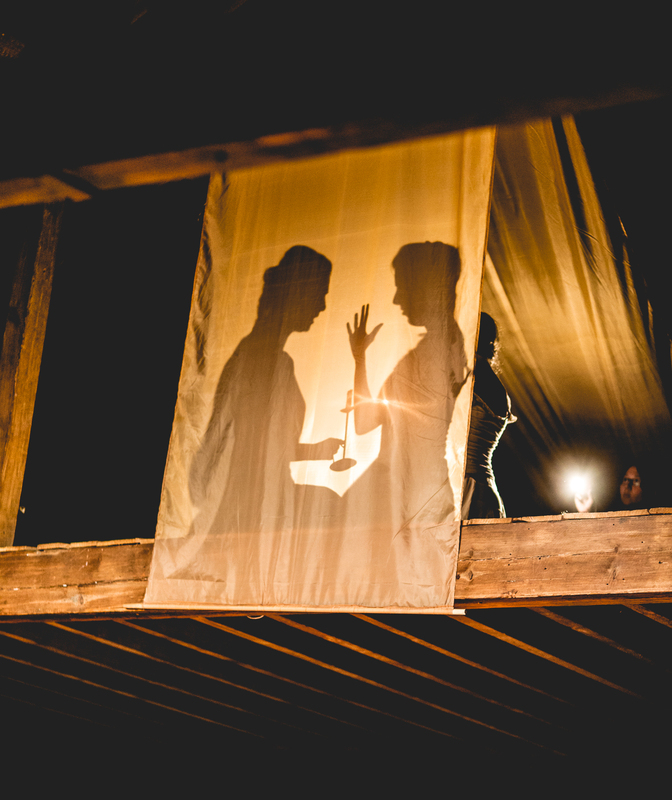 Through workshops, consultancy, and production, Passion in Practice spreads ideas about how to play Shakespeare as simply as possible, without any great conceptual frame placed between participants and the play, and seek to bring honesty and great passion to equal the work. 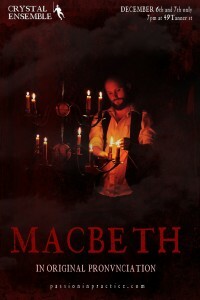 Its main work has been in exploring original practices – and especially those of accent, space, company, and stage-craft – to bring about new rehearsal and performance tools for modern Shakespeare production and education. 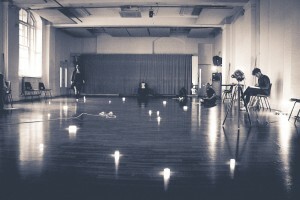 From these explorations came experiments in raising shows in 24 and 72 hrs. 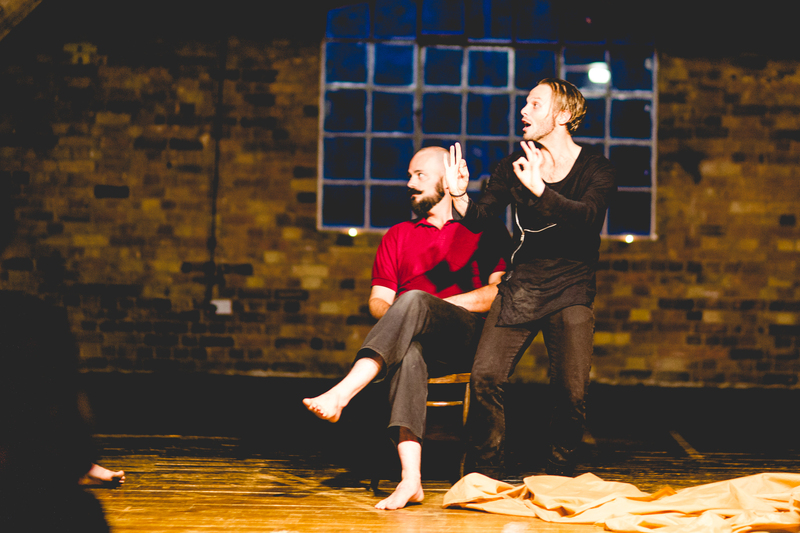 The work is writer led, allowing original texts to guide performances, in combination with physical disciplines originally learnt from Complicité and developed to find new paths up to the scope and scale of Shakespeare’s words. Shakespeare, as a cathartic writer from a classical tradition, should leave people feeling exhilarated. We wonder what directions and new ideas might we discover from such an exploration? The work was made possible thanks to the generosity of Graham Allen, Thomas Campbell Jackson, Andrew Fingret, Jake Kemp, Steve Urkowitz, Michael & Licia Crystal, Hilary & David Crystal, & Eric Rasmussen. 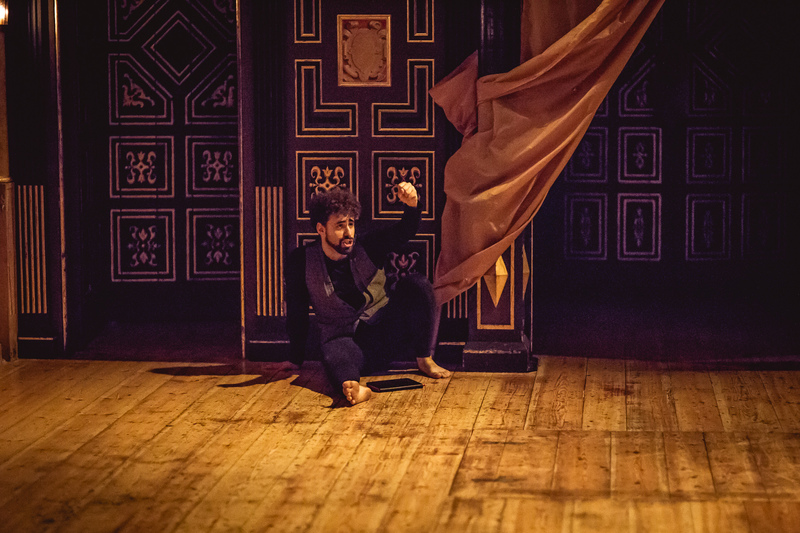 As part of the celebrations marking 1616, Passion in Practice returns to the Sam Wanamaker Playhouse for the third exploration of original pronunciation, to present a staged reading of Marlowe’s Dr Faustus. 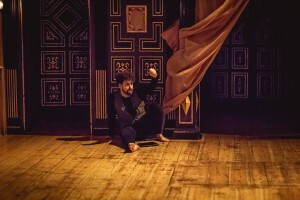 Drawing on their last two years’ exploration of the playhouse, original pronunciation, and the practice of a returning company of players to Shakespeare, which of these new-old tools can apply to (and what new ones can be learnt from) the man who was Shakespeare before Shakespeare? Come and brood with us in the dark, magical candle-lit glow of the Wanamaker for a reading (in original pronunciation, of course) of Marlowe’s dark and magical brooding of the fiery soul. 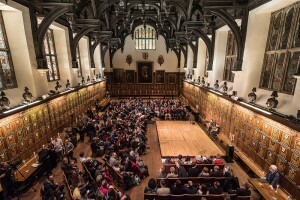 First performed at Henslowe’s Rose, this staged reading will follow the text of the play published in 1616 which has some additional scenes by Rowley and others. 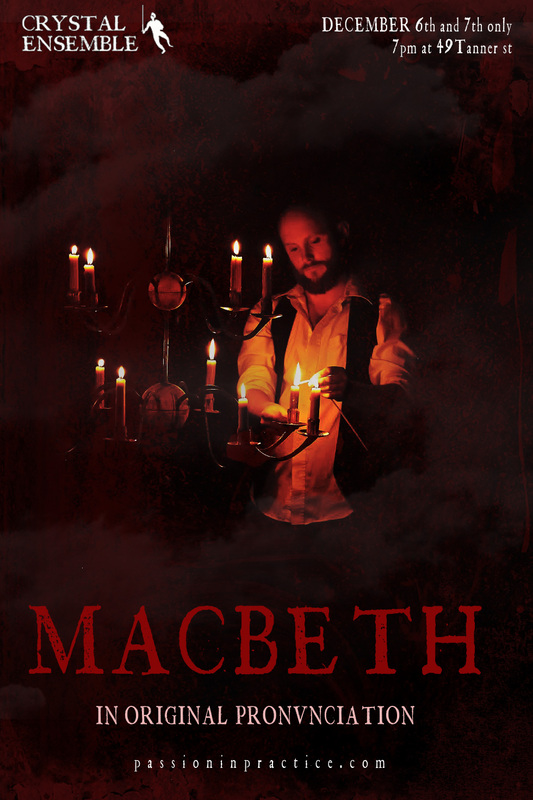 This will be the Company’s first experiment with Marlowe in OP and will take place in the candlelit glow of the Playhouse. The staged reading will be followed by a Q&A with Professor David Crystal, Ben Crystal and members of Passion and Practice’s creative team. To mark the 400th anniversary of Philip Henslowe’s death, Professor David Crystal will explore the Henslowe Diary in original pronunciation with the support of Ben Crystal’s Passion in Practice theatre company. 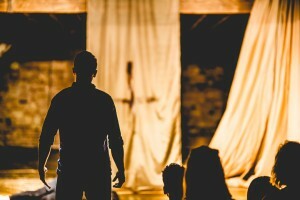 The Savannah Music Festival hosted Passion in Practice’s re-staging of the tragedy of Pericles, Prince of Tyre, for one night in Savannah, Georgia, USA. 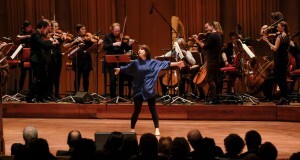 Underscoring the play with Max Richter’s reworking of Vivaldi’s Four Seasons: Recomposed, featuring the German orchestra l’arte del mondo led by Daniel Hope, the evening’s event transcended the normal theatre going experience. 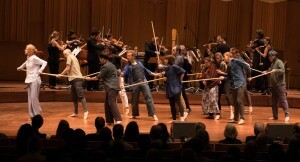 An enthralled audience laughed, gasped and cried, glued to the magical experience happening onstage when the Ensemble led the Musicians, the Musicians led the Ensemble and those beautiful moments when both worked together to enhance each other and create something genuinely unique and special. 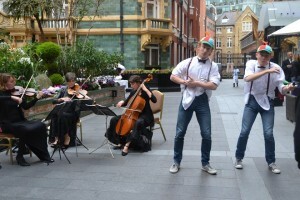 The British Council began their celebrations for Shakespeare’s 400th legacy year with an event marking the first performance of Twelfth Night: Or What You Will. 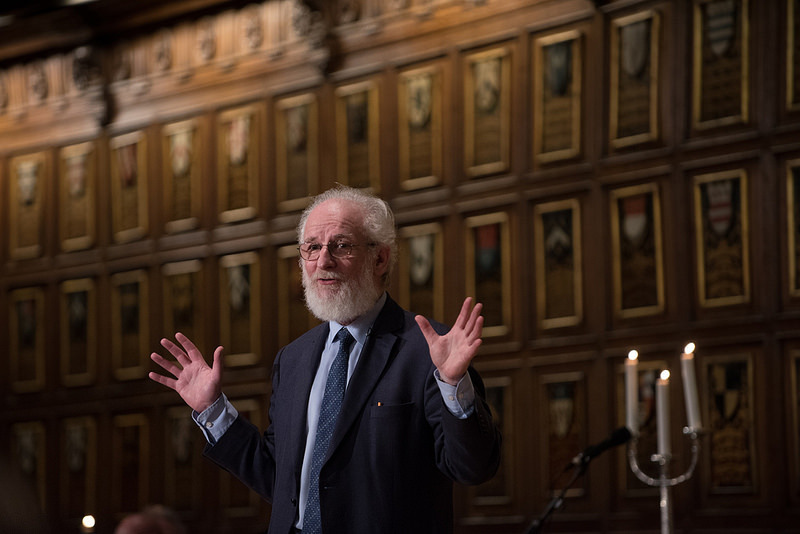 On the 2nd of Feburary 2016 Professor David Crystal, Ben Crystal and Passion in Practice members celebrated the language of Shakespeare showing that it is still alive and well in our present-day mouths, ears, eyes, and hearts all around the world. 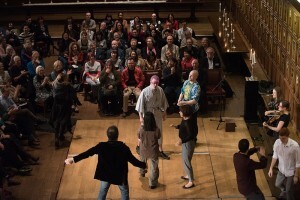 With excerpts from Twelfth Night, this performance lecture was broadcast live on the internet from Middle Temple Hall in London (where the play was first performed on 2 February 1602). 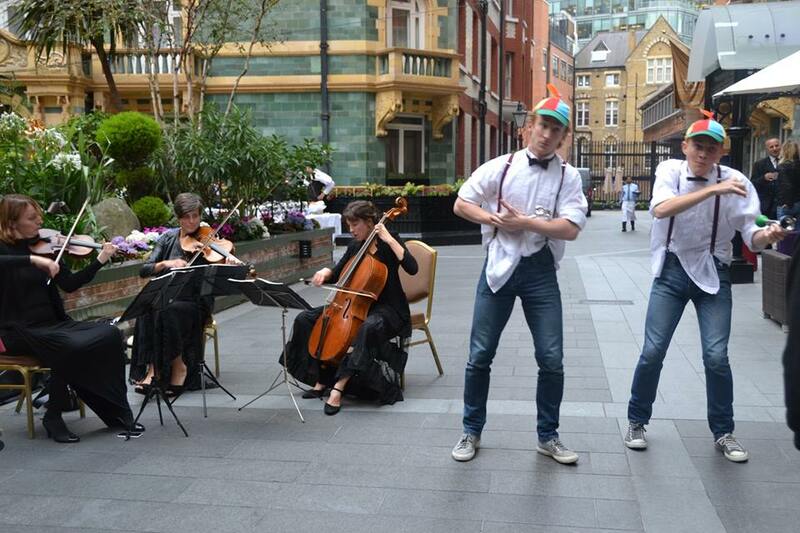 On September 8th 2015, the Passion in Practice Ensemble stepped outside their comfort zones and took part in a… NON-SHAKESPEARE event! 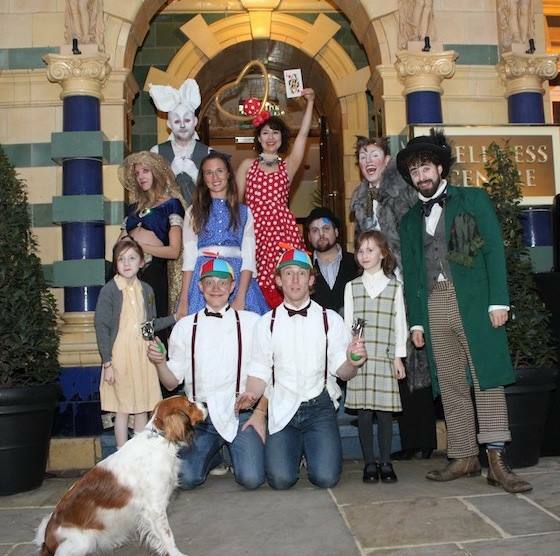 Making full use of the unique skill-sets held by members, Ben Crystal gathered together a collection of weird and wonderful characters from the Alice in Wonderland stories to delight and entertain an audience of embassy personnel from all over the world for and on behalf of parent company Tata. St. James’ Court, A Taj Hotel, London unveiled the first of its ‘English Classics, Reinvented’ literary seriesat the Hay Festival 2015. The London hotel launched it’s first bespoke edition in the ‘English Classics, Reinvented’ series. Literary classics such as Alice’s Adventures in Wonderland have been given a new lease of life, as the Taj partners with UK based artists to create a selection of new limited edition covers for the UK’s best loved tales. 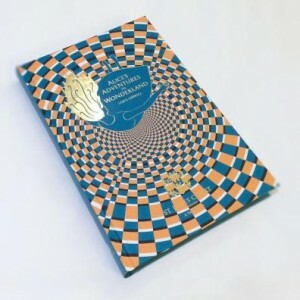 East London based designer, Ethan McClean re-designed the classic cover drawing inspiration from the start of Alice’s adventures down the rabbit hole. The cover illustration captures Alice’s journey from our world into Wonderland, where she falls into the abstract, resulting in an optical illusion, which hypnotically pulls us into a strange new land. 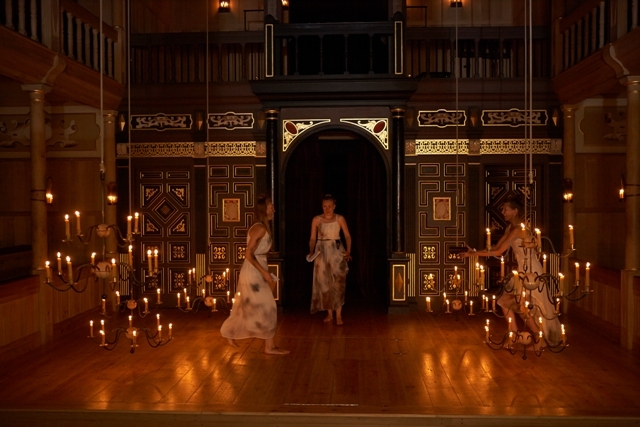 In 2004, Shakespeare’s Globe reconstructed the accent of Shakespeare’s day, and presented an acclaimed production of Romeo and Juliet in Original Pronunciation (or OP). 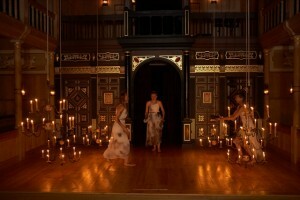 It was the first time the sound had been heard on a London stage for 400 years. Since then, plays, poems, and songs from Shakespeare’s time have been performed in theatres around the world in OP, staging contemporary world premieres of Hamlet, A Midsummer Night’s Dream, and Julius Caesar, revealing these works in a fresh, new light. 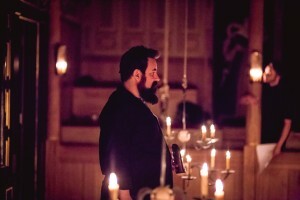 Beginning in 2014 Ben and David Crystal and the Passion in Practice Ensemble were asked to bring Original Pronunciation back to Shakespeare’s Globe, to the then recently opened Sam Wanamaker Playhouse. 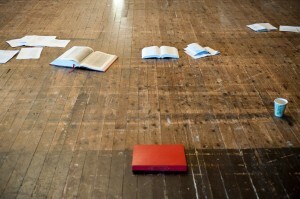 The series Exploring Original Pronunciation was born with two performance lectures and a reading of Macbeth in OP. 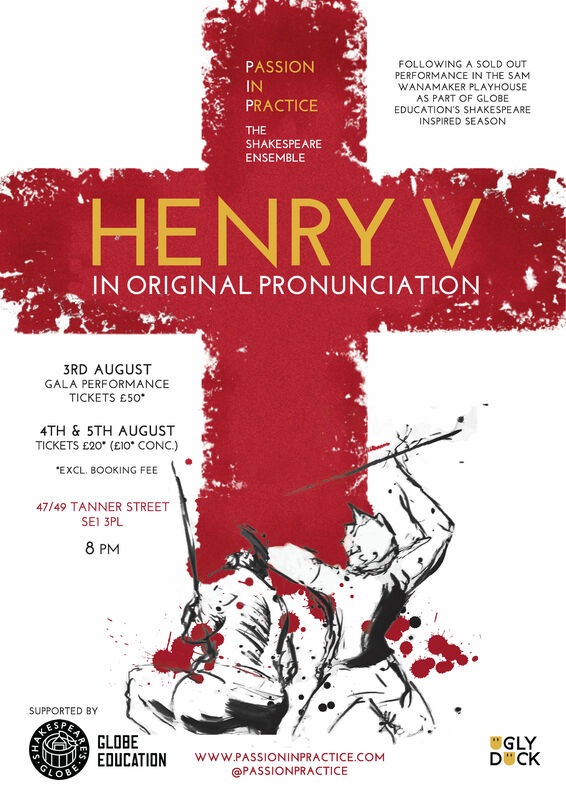 In 2015 , one performance lecture and a reading of Henry V in OP (on the 600 year since the Battle of Agincourt). Following a sold out performance in the Sam Wanamaker Playhouse as part of Globe Education’s Shakespeare Inspired season 2015, Ben and the Ensemble returned to the beautiful Tanner Street Loft. 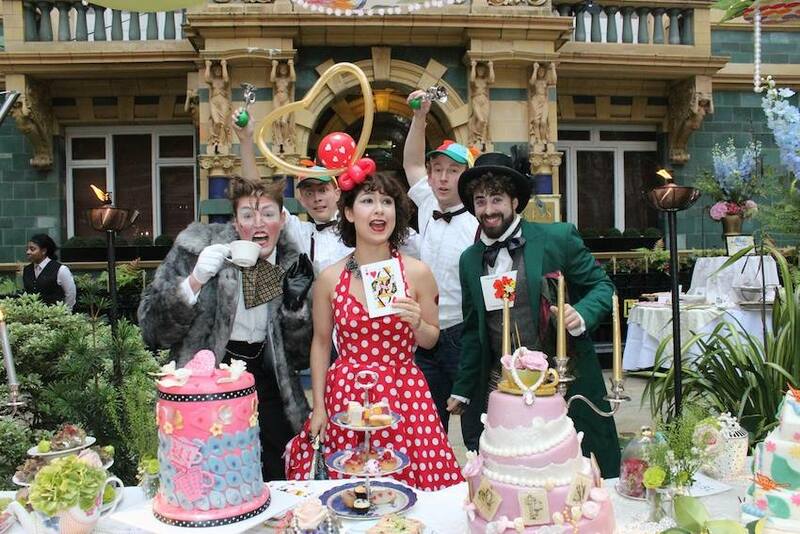 With a few minor cast changes, they once again restaged the production in 24hrs. 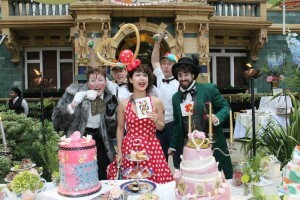 The production began with a Gala performance night of nibbles and drinks, opened with a David Crystal talk. 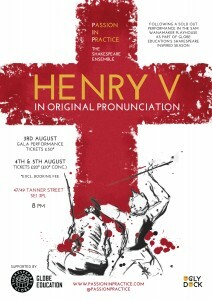 The production ran for three performances and was the world contemporary premier of Henry V in OP. Following their sell-out staged reading at the Sam Wanamaker Playhouse at nearby Shakespeare’s Globe in July 2014, the Ensemble gathered in London in December. 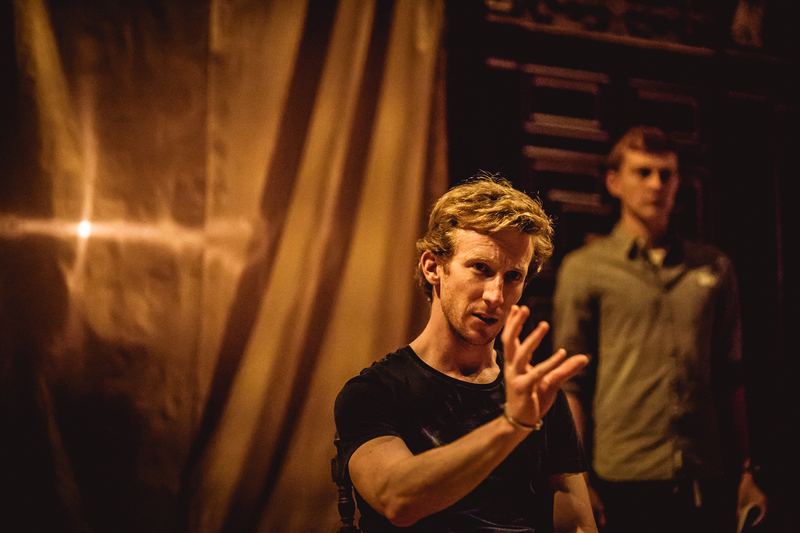 They restaged their production in 24hrs without having rehearsed their scenes together, speaking the words to each other for the first time in front of their audiences (not all the cast were from the July reading). 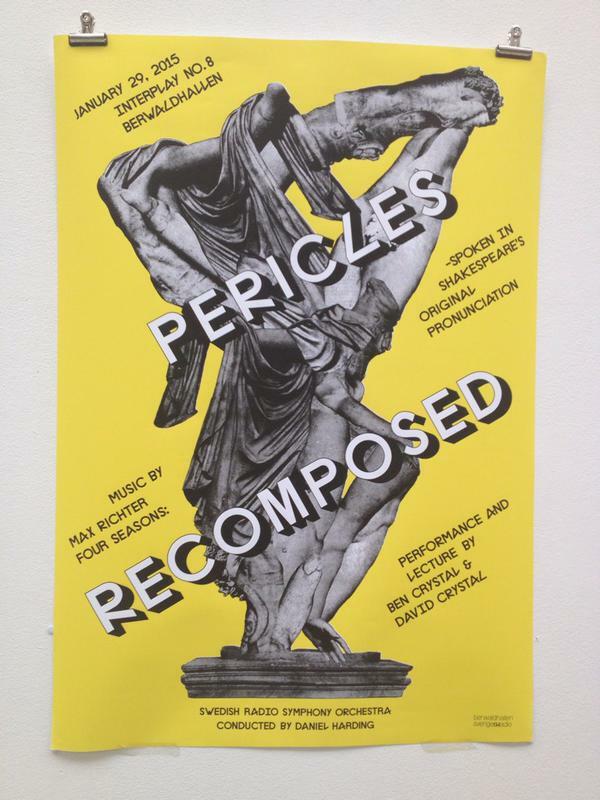 Here is a sneak-peak of the co-production of Pericles: Recomposed with Daniel Harding’s Interplay Festival at the Swedish Radio Symphony Orchestra, Berwaldhallen, Stockholm, January 29th 2015. 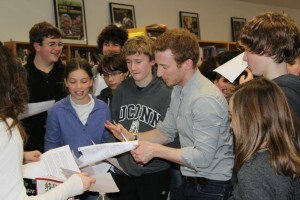 The Shakespeare Standard reviewer Louie Woodall, accompanied the Ensemble and documented the experience in three articles. 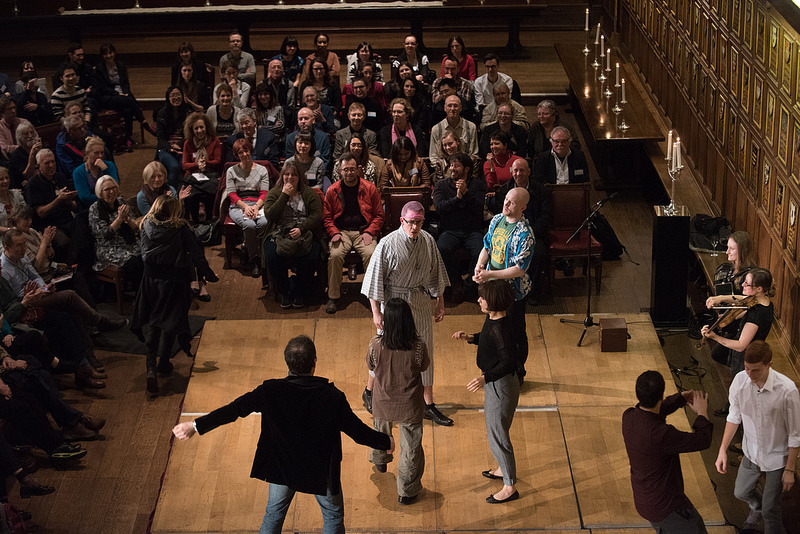 In January 2014 we ran an experiment: to what extent can we follow the rehearsal method of the Elizabethans? To that end, we Cue-script rehearsed a staged reading of Pericles in 24 hours, using Original Pronunciation, dance, song and a lot of little lights. 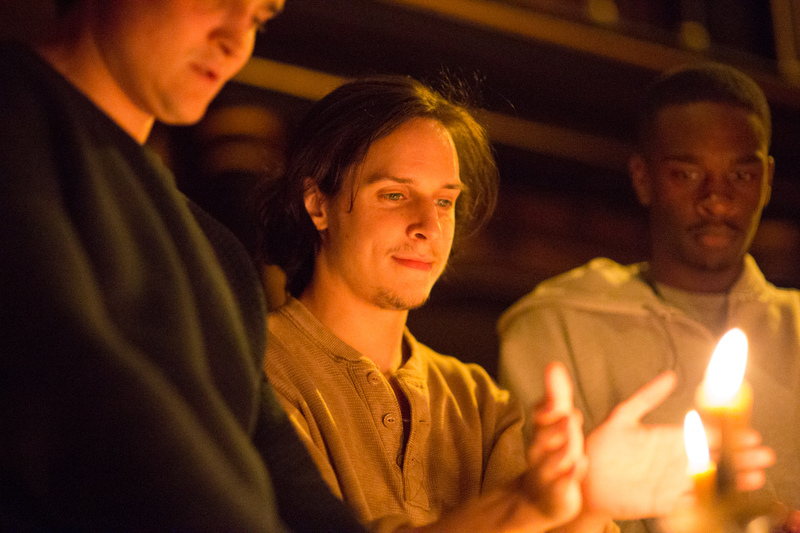 In November 2010, Ben brought together a group of like-minded actors, to explore the idea of a modern iteration of Shakespeare’s Ensemble. 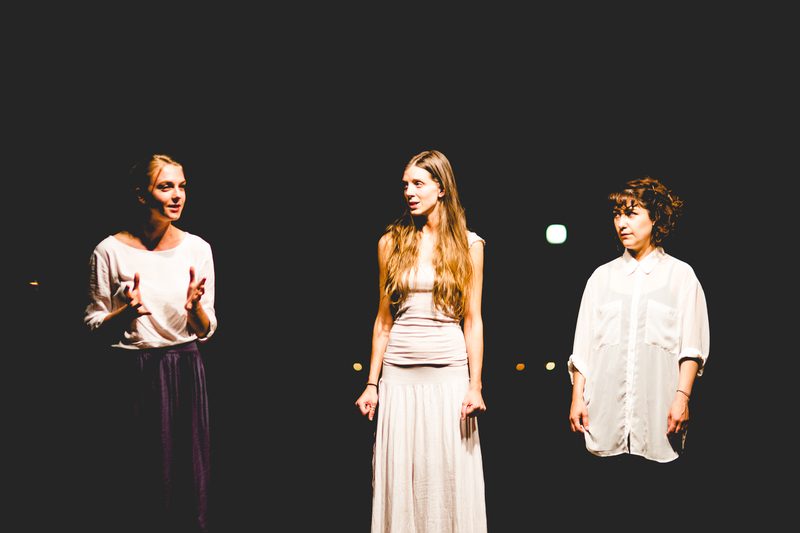 On the final day of the workshop we decided to explore acting Shakespeare on Film. Without notice, each actor was asked to perform something of Shakespeare’s writing that they knew off by heart. These videos are the result. 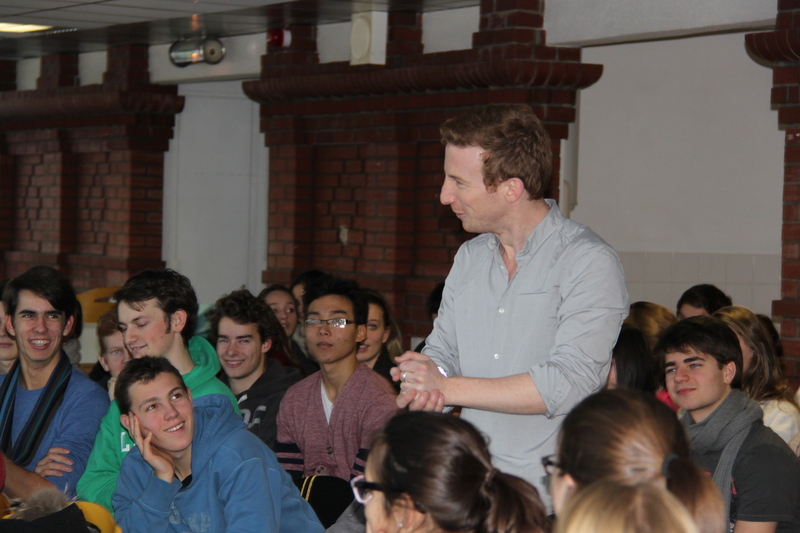 Having learnt the accent from his father’s 2004-5 work at Shakespeare’s Globe, Ben began to explore the practical applications of the accent – how it makes for more personal, grounded, and meatier Shakespeare performance. 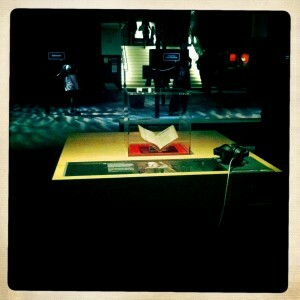 In 2010, Ben was asked by the British Library to record the opening speech of Richard III for their Evolving English Exhibition. 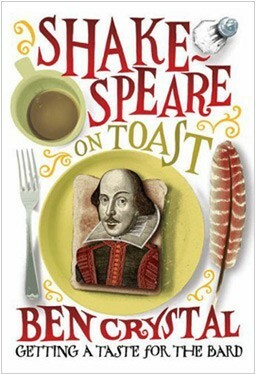 Knowing the listener would be using headphones while reading the original Quarto edition, Ben found himself whispering the speech into the microphone. Have a listen and get inside Richard’s head. Note how the OP makes the rhythm canter on ‘Cheated of feature by dissembling Nature’. 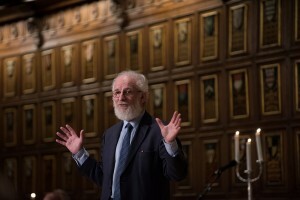 Then in the summer of 2011 the British Library invited him back to curate a CD of Shakespeare in Original Pronunciation, he trained and directed a number of our Passion in Practice actors (with the linguistic tutelage of his father, David Crystal). The format and length of session (hour, half a day, full day) can be tailored to suit, and the talk can be adjusted to fit the texts the students are studying or working on. We always get one or two (or all) the students up on their feet at some point, and there’s always time for questions.